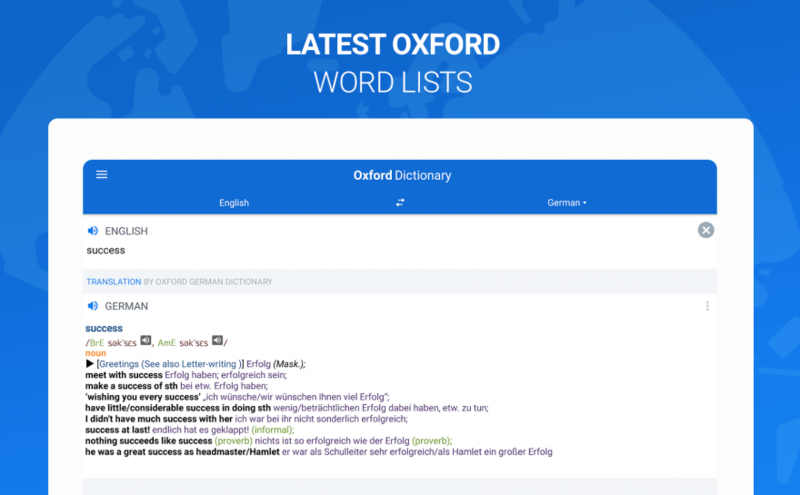 14 languages and over 4.5 million words and definitions from the world`s most trusted dictionary publisher Oxford University Press. Translate any sentence, expression or whole paragraph. 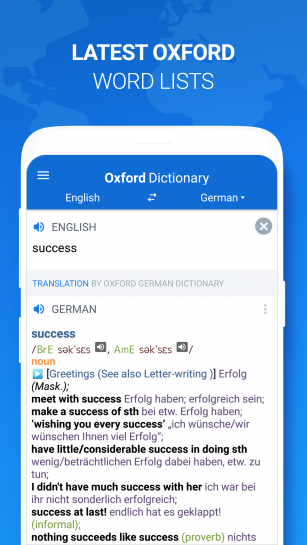 A dynamic switch between Dictionary and Translator modes automatically processes entries of words and paragraphs. 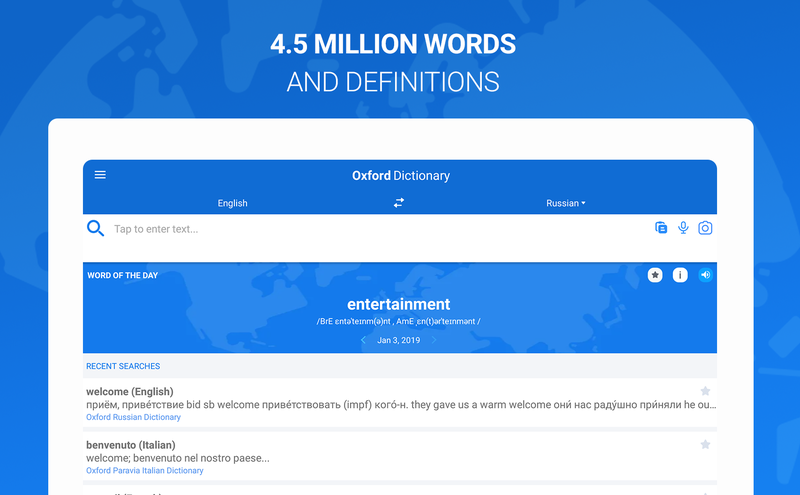 Translate any word with the Dictionary mode, powered by 14 of the top Oxford dictionaries. 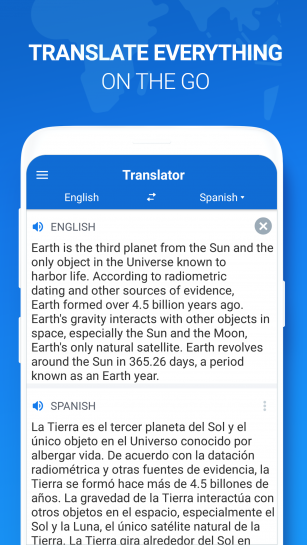 Translate any sentence, expression or whole paragraphs with the Translator mode. Listen to native Audio pronunciations to learn words faster (premium feature). 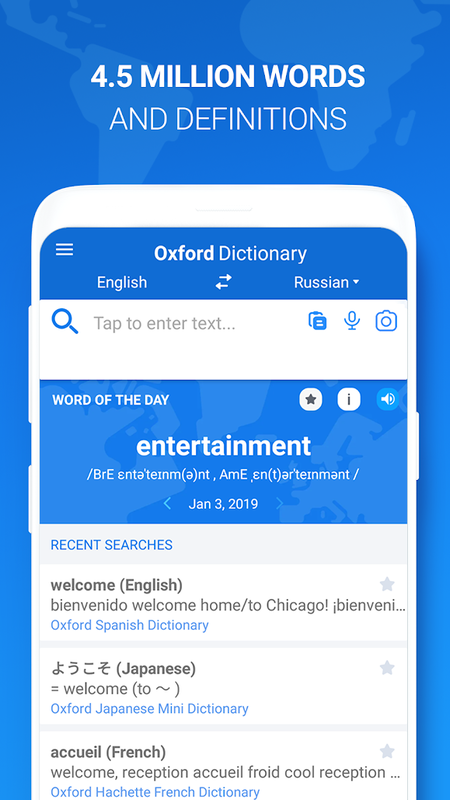 Learn new word every day with the “Word of the day” feature. 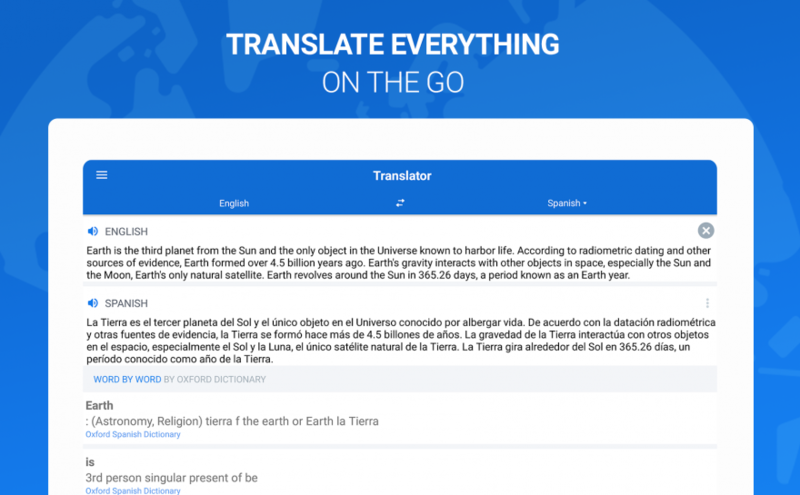 Translate words and paragraphs from other apps as web browsers or Facebook. Get access to Recent searches, available on your home screen to save your time. 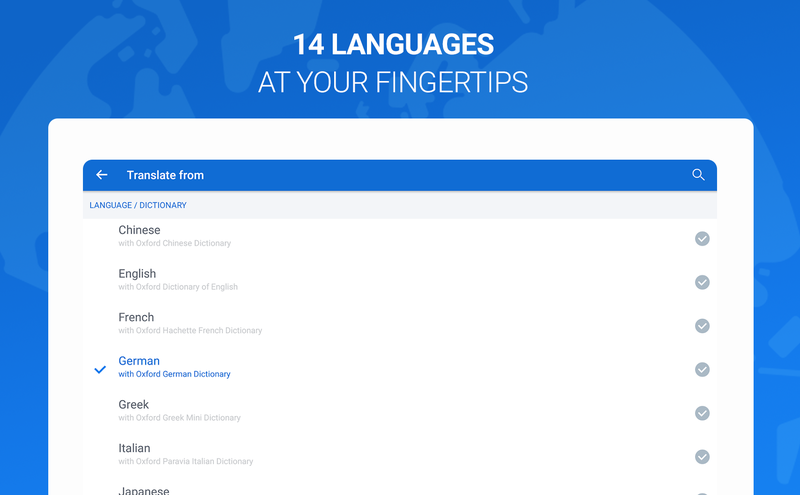 Create lists of Favorite translations on your main menu and access them with ease. Use the app in Offline mode (premium feature). 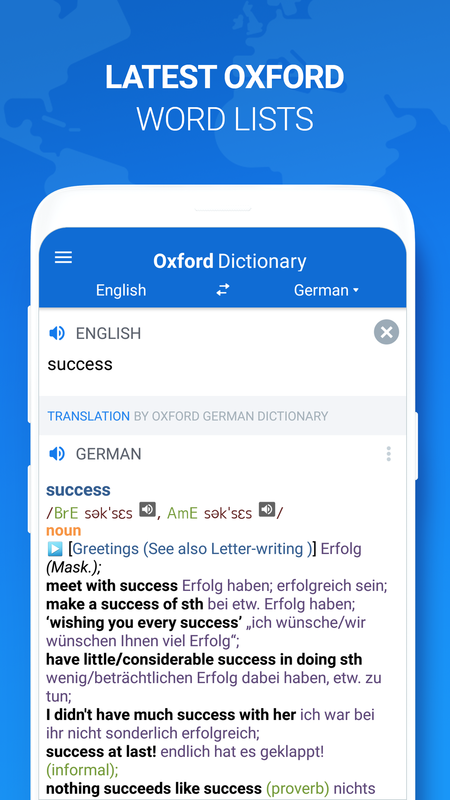 Dynamic switch between Dictionary and Translator to process your entries of words and paragraphs. 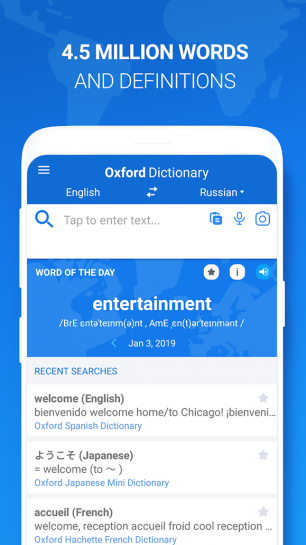 Audio search enables you to look up for words or phrases using your voice. Copy/Paste any word or paragraph from another app. Autocomplete will suggest dictionary words as you type. Wildcard filter will replace a letter or series of letters in a search string with a (*) or (?). • Audio pronunciations - Learn words faster by listening to how they're pronounced. • Offline mode - No WiFi or data connection, no problem. 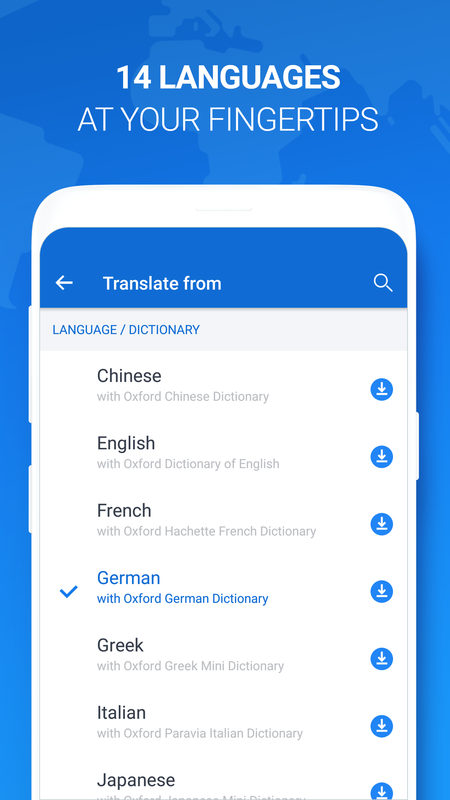 Download the language databases to your device, to be used without an internet connection. • Priority support - Get expedited support for any app-related issues. Improved offline translations with upgraded language downloads. Learn a new definition every day with the Word of the Day feature. 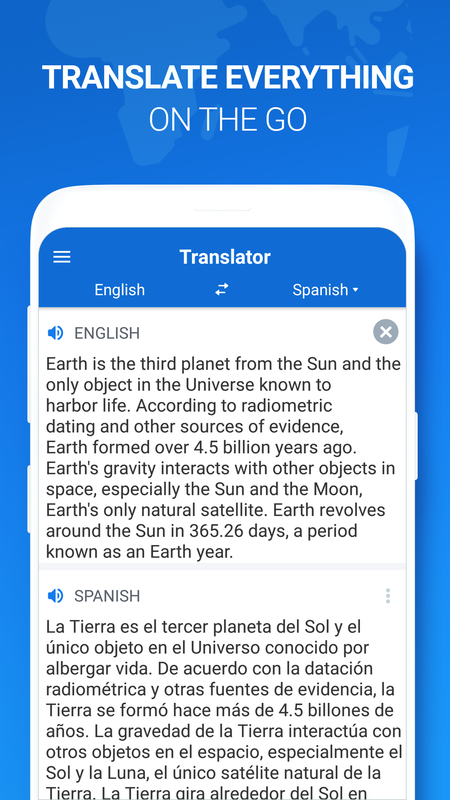 Translate words and entire sentences from outside the app with Tap to Translate.